Posted: Saturday, June 16, 2018. 2:53 pm CST. 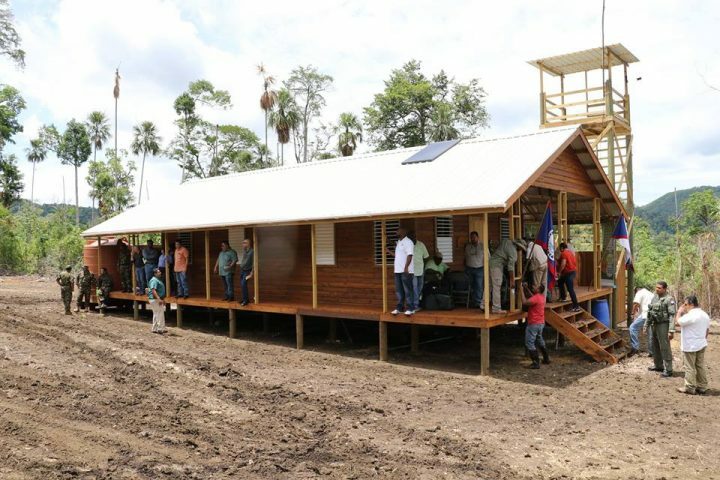 By BBN Staff: On Thursday, June 14, 2018, The Government of Belize inaugurated the South Cebada Conservation Post in the Chiquibul National Park. The post was constructed under the Chiquibul Forest Investment Initiative (CFII). The CFII is the Government of Belize’s financial strategy for the conservation and protection of our natural resources through strengthening enforcement and protection of the Chiquibul, Vaca and Columbia Forests. The Cebada Chiquibul joint enforcement unit is established by members of the Forest Department, Police Department, Belize Defense Force and Friends for Conservation and Development (FCD). The project was funded by the Protected Areas Conservation Trust and the Environmental Management Fund.